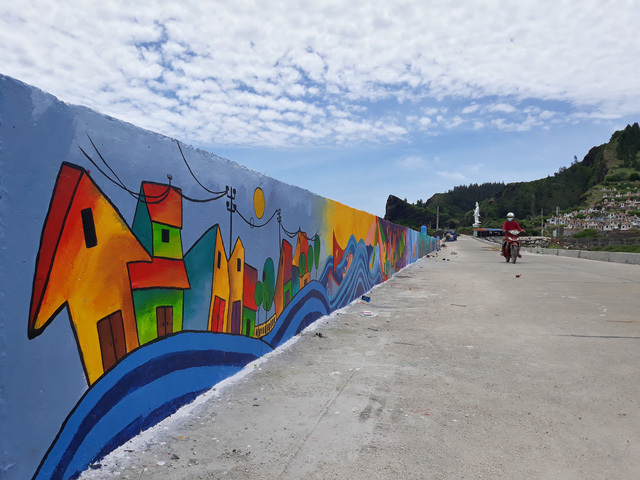 With the contribution of 40 students of Architecture, the concrete sae-walls are covered with colorful and dynamic paintings. 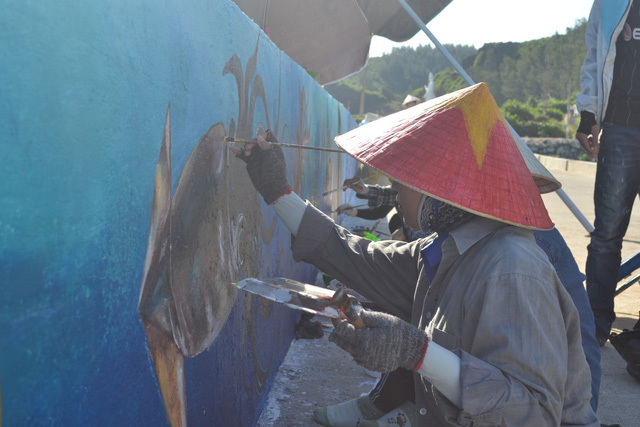 Huynh Mai Vy - 3rd year student, said: Although Ly Son weather is so hot but all members participate in efforts to soon complete the frescoes on Ly Son island. 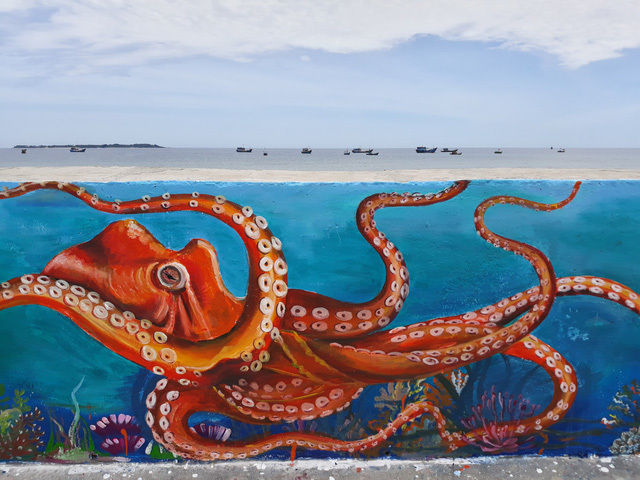 "To finish a painting on a concrete wall, it took one to two days" The group determined whether the heat, but we must do careful and meticulous to ensure that the paintings were lively and contributing to create a new highlight for Ly Son Island, "Mai Vy shared. 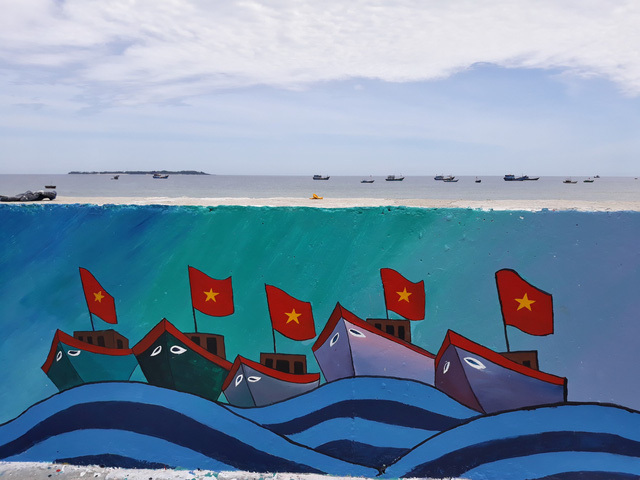 According to Mr. Dang Thuong (Tay village, An Vinh Commune), the sea-walls surrounding Ly Son island are quite monotonous. 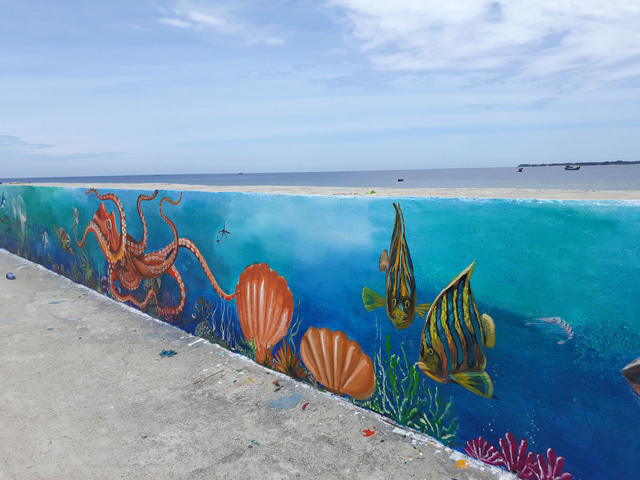 So when the sea-walls are turned into paintings, that create a new and interesting fellings for these own landers. “This is a beautiful route leading to To Vo port area. The sea-walls look not special and now you stand far away from the pictures of outstanding paintings on the blue sea. It’s so beautiful. That’s so wonderful!”, said Mr. Thuong. This is the mark of the students of Da Nang University of Science and Technology to the predecessor island of the country. It is hoped that this route will attract tourists whenever they come to Ly Son Island.